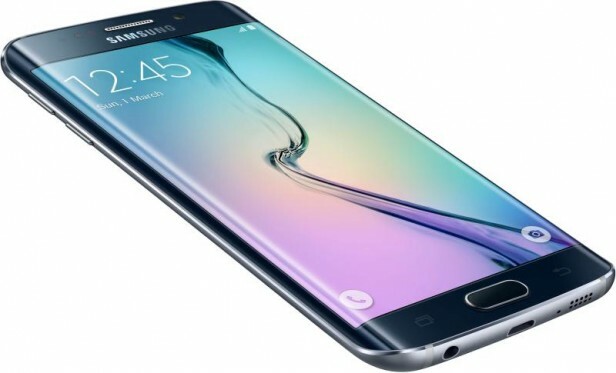 Futuristic looking and edgy with flawless performance and dual-curve glass display, the new Samsung Galaxy S6 Edge was announced in March this year and the phone was available for sale from April 2015. It features a 5.1 inches capacitive touchscreen with more than 16 million colors and a display resolution of 1440 x 2560 (~ 557 ppi pixel density). Running on Android OS, v5.0.2 (Lollipop), upgradable to v5.1.1 (Lollipop) and being backed up by a Quad-core 1.5 GHz Cortex-A53 & Quad-core 2.1 GHz Cortex-A5; Exynos 7420 processor (and Mali-T760MP8 graphic processor), the phone may sound like the ideal device to use daily. However, you should note that it can come with plenty of errors after a while and show real signs of unresponsiveness. If you would like to know how you can deal with these, make sure you read the rest of the article. The phone has an internal memory of 32 GB or 64 GB or even 128 GB and 3 GB of RAM. Also, the tech enthusiasts who have chosen this device highly speak of its amazing balance between beauty and power. Yet, the downside is that, like any smartphone on the market, because of various problems related to software or viruses, it starts to work slower than usual after a period of time and even to freeze whenever you open some applications. For this reason, it is highly recommended to appeal to an ingenious procedure called a master reset. If you’ve experienced an unresponsive phone with slow performance, frozen screens, errors and similar issues, the problem might be coming from the software. This means that is not the phone itself that is getting old from a hardware point of view, but it’s a virus that attacked it. The master reset procedure will restore all settings to original and remove the user data stored on the phone. This will prevent any infected files from damaging the rest of the smartphone, and all such viruses will be removed. When the procedure is complete, you will have a brand new phone. Touch on ‘Backup and reset’ and select the ‘Factory data reset’ option. Select ‘Reset device’ (remember that you will lose any personal data on your phone). Choose ‘Ok’ and the process will begin. Your phone will reboot with the factory settings. Press and hold the Volume up key and the Power button. Using the Volume keys to navigate to the ‘Wipe data/factory reset; option and select it using the Power button.